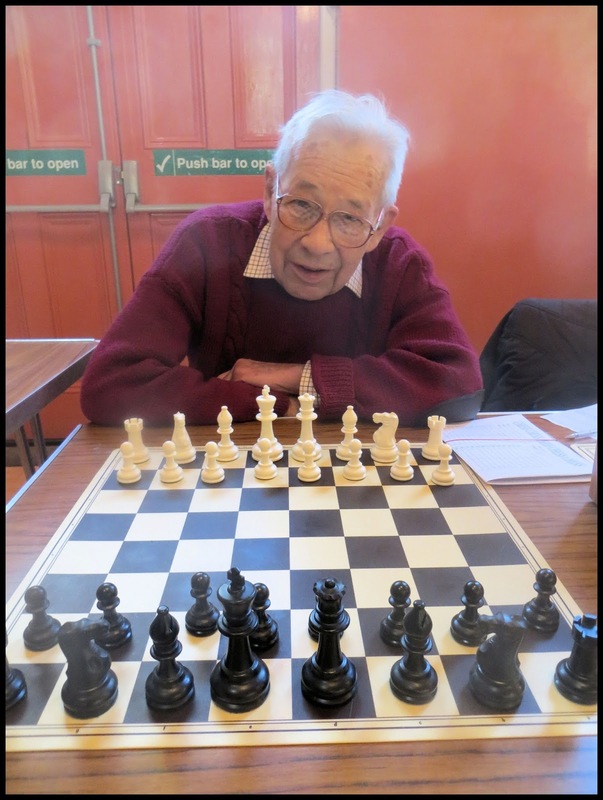 It's sad to report that John Dawson, doyen of Linton Chess Club and a frequent participant in the Bury Congress, passed away on 5 January. Born on 11 April 1924, John had been for many years the oldest player in the Bury Area Chess League. John last played in the Bury Congress in 2014, when his failing eyesight required additional lighting to be provided. There was always a twinkle in John's eye and he had a ready wit. He would joke and tease at every opportunity. 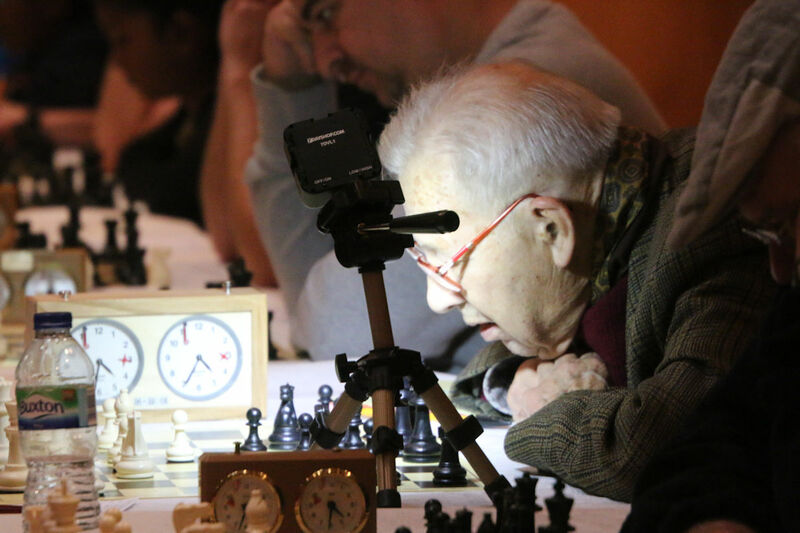 He had hoped to play some league chess this season, but had not had an opportunity to do so. 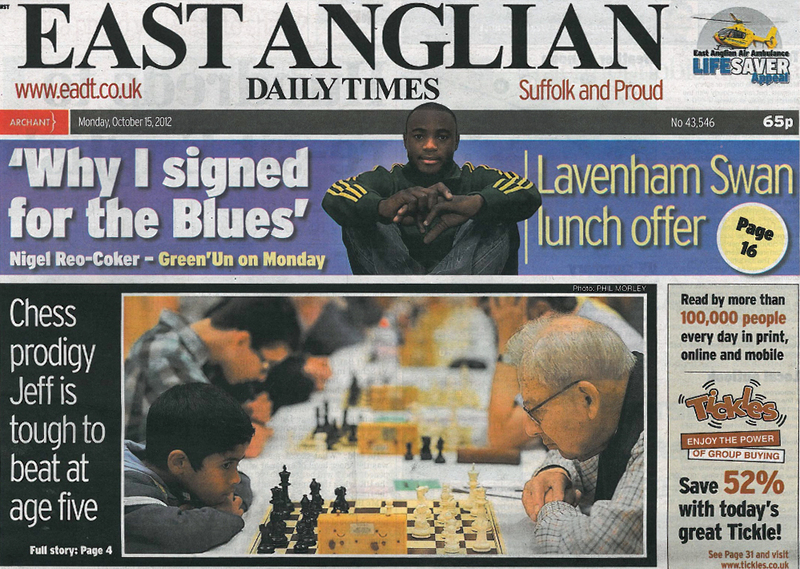 Back in 2012, John (then aged 88) hit the headlines in the East Anglian Daily Times for his match at the Bury Congress against five-year old Jeff Tomy. John won - just! John died peacefully at home, aged 93. He was a much loved father and grandfather who will be greatly missed by all. John's funeral will be held at 2.00 pm on Wednesday 31 January at the Cam Valley Crematorium, Field Farm Drive, Great Chesterford, CB10 1SD. Mourners are invited to the Red Lion at Whittlesford afterwards.